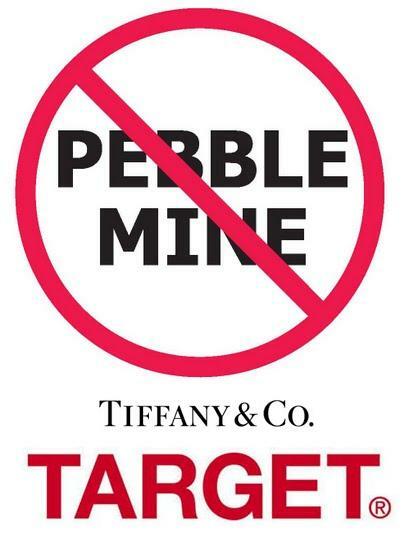 First there was Tiffany & Co saying no to Pebble Mine gold. Now Target is chiming in with there own policy saying no to farmed salmon and yes to wild Alaska salmon. FRESH: Chain removes all farmed fish from stores in an “environment-friendly” plan. The following retailers have taken the first step towards more responsible sourcing of gold by declaring their support for the Golden Rules. These Rules represent social, environmental, and human rights criteria for more responsible gold production. The No Dirty Gold campaign encourages these retailers to now actively pursue “cleaner” sources of gold and to demonstrate that they are meeting their sourcing commitment. To donate towards the fight against Pebble Mine, please click on any of the anti-Pebble links listed above: Trout unlimited, Renewable Resources Coalition etc. and give $ or volunteer your time.